When GHOST was first released back in 1990, it caused a real rumble. The American romantic fantasy film starring the late Patrick Swayze, Demi Moore and Whoopi Goldberg, was an outstanding commercial success, breaking box office records and earning Goldberg an Academy Award for Best Supporting Actress. No surprise then that legendary theatre producer Bill Kenwright was so keen to bring one of cinema’s biggest all-time hits to the big stage. Set in New York in the early 90s, GHOST tells the story of banker Sam Wheat and his artist girlfriend Molly, who are confronted by a mugger late one night whilst walking back to their apartment. When Sam attempts to wrestle the gun from the mugger’s hands, he ends up getting shot, leaving his beloved wife Molly utterly lost and alone in the world… or so she thinks. Sam has some unfinished business in the world, and with the help of phony storefront psychic Oda Mae, enacts revenge upon those who are responsible for his death to save his beloved Molly from grave danger. Timeless, touching and incredibly moving, Bill Kenwright’s reimagined production of this heartbreaking story is impressively faithful to the movie. Bruce Joel Rubin, who wrote the original screenplay, was brought on board to adapt the story for the stage so many of the memorable lines and scenes stay true to the original film. There are also plenty of impressive optical illusions and special effects to make the transition between the real and ghostly worlds believable. Carolyn Maitland delivers a strong central performance as the recently widowed Molly, showcasing her beautiful crisp, natural and powerful voice consistently throughout the show. Andy Moss also manages to pack a punch as Sam, successfully channelling the angst that Swayze brought so successfully to the film. 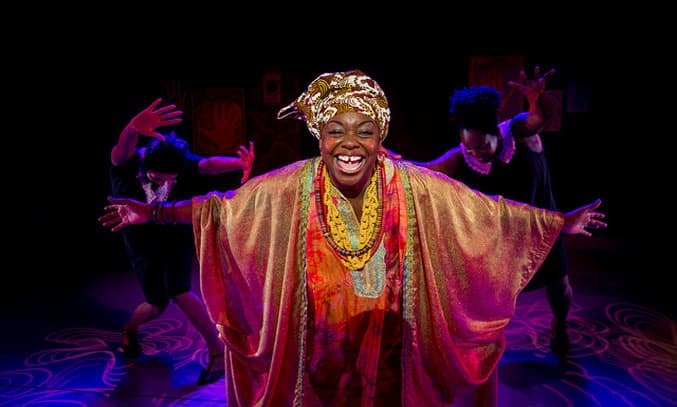 But the true star of the show is Jacqui Dubois who steals every scene as storefront psychic Oda Mae Brown, hitting all the right comedy notes and bringing some light relief to the otherwise intense storyline. Yet despite the strong cast performances, where the show falters is in its musical numbers. While the songs themselves (written by Glen Ballard and Eurythmics’ Dave Stewart) are enjoyable and moving enough, they are also instantly forgettable and don’t contain the musical hooks which usually have you humming as you leave the theatre. The choreography is also rather disappointing, adding little to the production numbers or narrative progression. 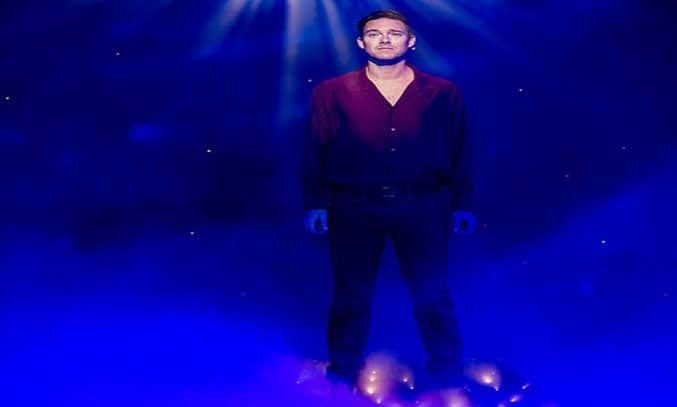 That said, the production makes fresh use of The Righteous Brothers’ classic song Unchained Melody and is still capable of pulling on the emotional strings to raise a tear to the eye, especially during the heartbreaking finale.